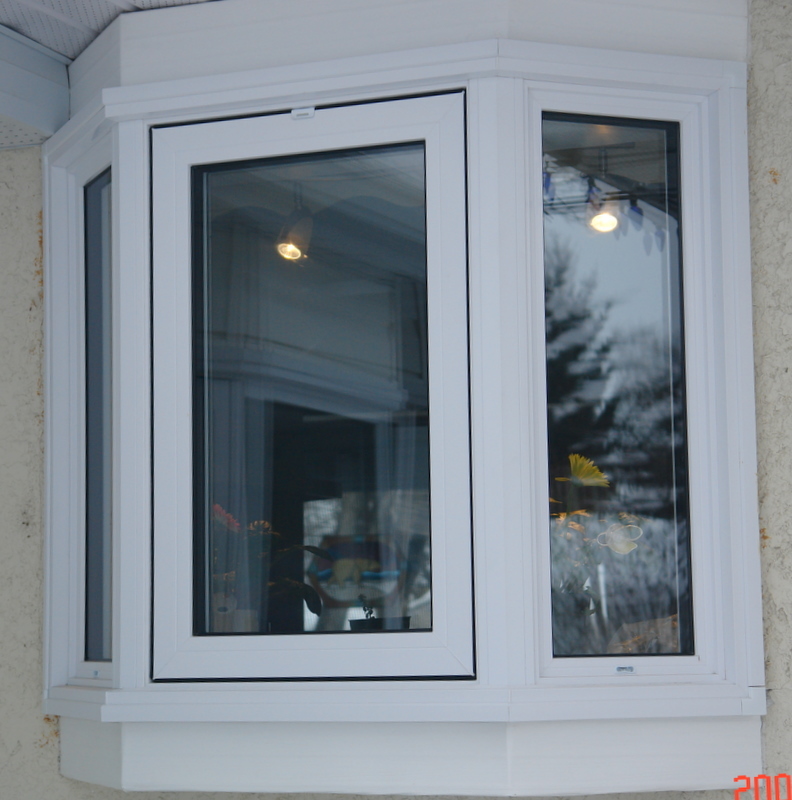 Awning windows swing out and allow ventilation in less than ideal weather, such as a rainy day. 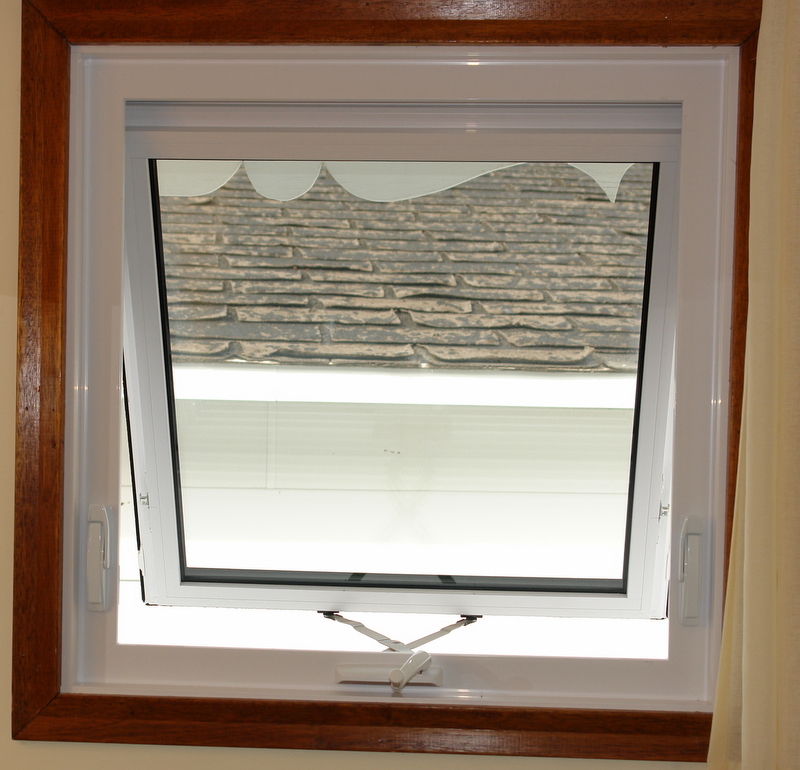 They draw more air out than in and are great for drawing out humidity in a bathroom or kitchen. 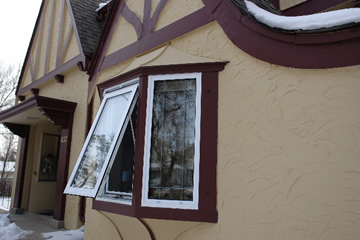 Awning windows can be mulled to picture windows to create a larger opening in a kitchen or dining room. 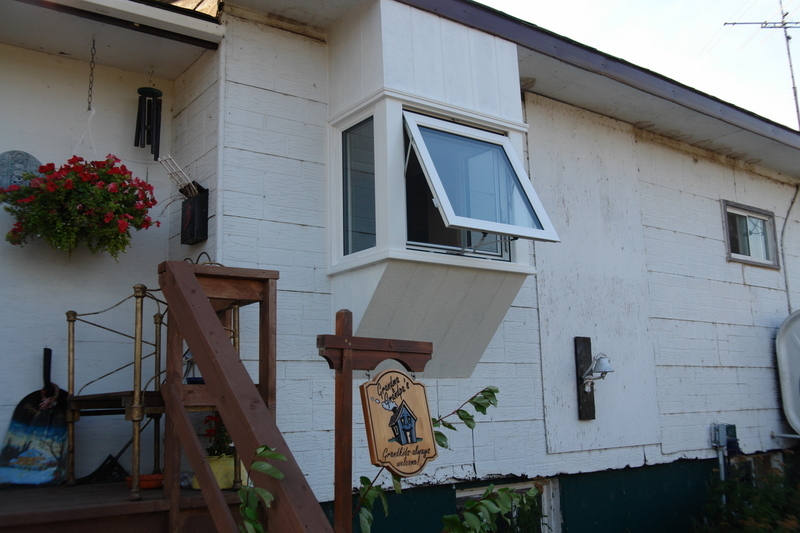 Awning windows however, do not meet the egress code for fire exit in bedrooms.